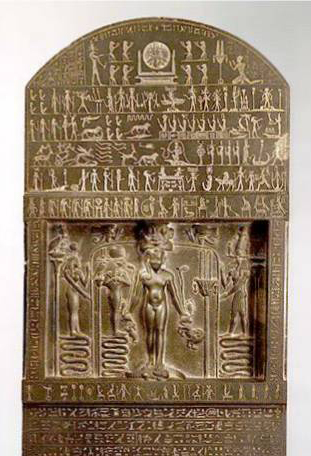 Above are three views of the famous Metternich Stela, also known as the Magical Stela; the stela dates to the reign of Pharaoh Nectanebo, 30th Dynasty of Egypt. It is on display at the Metropolitan Museum of Art in New York City. The magical and religious texts of the Egyptians of all periods contain spells intended to be used against serpents, scorpions, and noxious reptiles of all kinds, and their number, and the importance which was attached to them, suggest that Egypt must always have produced these pests in abundance, and that the Egyptians were always horribly afraid of them. The text of Unas, which was written towards the close of the Vth Dynasty, contains many such spells, and in the Theban and Saite Books of the Dead several Chapters consist of nothing but spells and incantations, many of which are based on archaic texts, against crocodiles, serpents, and other deadly reptiles, and insects of all kinds. All such creatures were regarded as incarnations of evil spirits, which attack the dead as well as the living, and therefore it was necessary for the well-being of the former that copies of spells against them should be written upon the walls of tombs, coffins, funerary amulets, etc. The gods were just as open to the attacks of venomous reptiles as man, and Ra, himself, the king of the gods, nearly died from the poison of a snake-bite. Now the gods were, as a rule, able to defend themselves against the attacks of Set and his fiends, and the poisonous snakes and insects which were their emissaries, by virtue of the fluid of life, which was the peculiar attribute of divinity, and the efforts of Egyptians were directed to the acquisition of a portion of this magical power, which would protect their souls and bodies and their houses and cattle, and other property, each day and each night throughout the year. 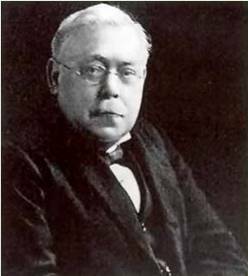 When a man cared for the protection of himself only he wore an amulet of some kind, in which the fluid of life was localized. When he wished to protect his house against invasion by venomous reptiles he placed statues containing the fluid of life in niches in the walls of various chambers, or in some place outside but near the house, or buried them in the earth with their faces turned in the direction from which he expected the attack to come. the poison of Apep, and was to be recited over anyone who was bitten by a snake. When uttered by Horus it made Apep to vomit, and when used by a magician properly qualified would make the bitten person to vomit, and so free his body from the poison. feet of Ra, and the bowels of Meh-urit. Every member of the Cat contained a god or goddess, and she was able to destroy the poison of any serpent, or scorpion, or reptile, which might be injected into her body. The spell opens with an address to Ra, who is entreated to come to his daughter, who has been stung by a scorpion on a lonely road, and to cause the poison to leave her body. Thus it seems as if Isis, the great magician, was at some time stung by a scorpion. Horus to proceed to Osiris. Ra, Sekhet, Thoth, and Heka, this last named being the spell personified, are the four great gods who protect Osiris, and who will blind and choke his enemies, and cut out their tongues. The cry of the Cat is again referred to, and Ra is asked if he does not remember the cry which came from the bank of Netit. The allusion here is to the cries which Isis uttered when she arrived at Netit near Abydos, and found lying there the dead body of her husband. his seizure of the kingdom. Isis, as we have already seen, had been made pregnant by her husband after his death, and Thoth now appeared to her, and advised her to hide herself with her unborn child, and to bring him forth in secret, and he promised her that her son should succeed in due course to his father's throne. With the help of Thoth she escaped from her captivity, and went forth accompanied by the Seven Scorpion-goddesses, who brought her to the town of Per-Sui, on the edge of the Reed Swamps. She applied to a woman for a night's shelter, but the woman shut her door in her face. To punish her one of the Scorpion-goddesses forced her way into the woman's house, and stung her child to death. The grief of the woman was so bitter and sympathy-compelling that Isis laid her hands on the child, and, having uttered one of her most potent spells over him, the poison of the scorpion ran out of his body, and the child came to life again. The words of the spell are cut on the Stele, and they were treasured by the Egyptians as an infallible remedy for scorpion stings. When the woman saw that her son had been brought back to life by Isis, she was filled with joy and gratitude, and, as a mark of her repentance, she brought large quantities of things from her house as gifts for Isis, and they were so many that they filled the house of the kind, but poor, woman who had given Isis shelter. Now soon after Isis had restored to life the son of the woman who had shown churlishness to her, a terrible calamity fell upon her, for her beloved son Horus was stung by a scorpion and died. The news of this event was conveyed to her by the gods, who cried out to her to come to see her son Horus, whom the terrible scorpion Uhat had killed. Isis, stabbed with pain at the news, as if a knife had been driven into her body, ran out distraught with grief. It seems that she had gone to perform a religious ceremony in honour of Osiris in a temple near Hetep-hemt, leaving her child carefully concealed in Sekhet-An. During her absence the scorpion Uhat, which had been sent by Set, forced its way into the hiding-place of Horus, and there stung him to death. When Isis came and found the dead body, she burst forth in lamentations, the sound of which brought all the people from the neighbouring districts to her side. As she related to them the history of her sufferings they endeavoured to console her, and when they found this to be impossible they lifted up their voices and wept with her. Then Isis placed her nose in the mouth of Horus so that she might discover if he still breathed, but there was no breath in his throat; and when she examined the wound in his body made by the fiend Aun-Ab she saw in it traces of poison. No doubt about his death then remained in her mind, and clasping him in her arms she lifted him up, and in her transports of grief leaped about like fish when they are laid on red-hot coals. Then she uttered a series of heartbreaking laments, each of which begins with the words "Horus is bitten." The heir of heaven, the son of Un-Nefer, the child of the gods, he who was wholly fair, is bitten! He for whose wants I provided, he who was to avenge his father, is bitten! He for whom I cared and suffered when he was being fashioned in my womb, is bitten! He whom I tended so that I might gaze upon him, is bitten! He whose life I prayed for is bitten! Calamity hath overtaken the child, and he hath perished. Whilst Isis was saying these and many similar words, her sister Nephthys, who had been weeping bitterly for her nephew Horus as she wandered about among the swamps, came, in company with the Scorpion goddess Serqet, and advised Isis to pray to heaven for help. Pray that the sailors in the Boat of Ra may cease from rowing, for the Boat cannot travel onwards whilst Horus lies dead. Then Isis cried out to heaven, and her voice reached the Boat of Millions of Years, and the Disk ceased to move onward, and came to a standstill. From the Boat Thoth descended, being equipped with words of power and spells of all kinds, and bearing with him the "great command of maa-kheru," i.e., the WORD, whose commands were performed, instantly and completely, by every god, spirit, fiend, human being and by every thing, animate and inanimate, in heaven, earth, and the Other World. 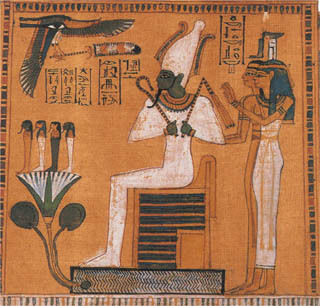 Then he came to Isis and told her that no harm could possibly have happened to Horus, for he was under the protection of the Boat of Ra; but his words failed to comfort Isis, and though she acknowledged the greatness of his designs, she complained that they savoured of delay. "What is the good," she asks, "of all thy spells, and incantations, and magical formulae, and the great command of maa-kheru, if Horus is to perish by the poison of a scorpion, and to lie here in the arms of Death? Evil, evil is his destiny, for it hath entailed the deepest misery for him and death." In answer to these words Thoth, turning to Isis and Nephthys, bade them to fear not, and to have no anxiety about Horus, "For," said he, "I have come from heaven to heal the child for his mother." He then pointed out that Horus was under protection as the Dweller in his Disk (Aten), the Great Dwarf, the Mighty Ram, the Great Hawk, the Holy Beetle, the Hidden Body, the Divine Bennu, etc., and proceeded to utter the great spell which restored Horus to life. By his words of power Thoth transferred the fluid of life of Ra, and as soon as this came upon the child's body the poison of the scorpion flowed out of him, and he once more breathed and lived. When this was done Thoth returned to the Boat of Ra, the gods who formed its crew resumed their rowing, and the Disk passed on its way to make its daily journey across the sky. The gods in heaven, who were amazed and uttered cries of terror when they heard of the death of Horus, were made happy once more, and sang songs of joy over his recovery. The happiness of Isis in her child's restoration to life was very great, for she could again hope that he would avenge his father's murder, and occupy his throne. The final words of Thoth comforted her greatly, for he told her that he would take charge of the case of Horus in the Judgment Hall of Anu, wherein Osiris had been judged, and that as his advocate he would make any accusations which might be brought against Horus to recoil on him that brought them. Furthermore, he would give Horus power to repulse any attacks which might be made upon him by beings in the heights above, or fiends in the depths below, and would ensure his succession to the Throne of the Two Lands, i.e., Egypt. Thoth also promised Isis that Ra himself should act as the advocate of Horus, even as he had done for his father Osiris. He was also careful to allude to the share which Isis had taken in the restoration of Horus to life, saying, "It is the words of power of his mother which have lifted up his face, and they shall enable him to journey wheresoever he pleaseth, and to put fear into the powers above. I myself hasten [to obey them]." Thus everything turned on the power of the spells of Isis, who made the sun to stand still, and caused the dead to be raised. and they record a legend of Isis and Horus which is not found so fully described on any other monument. the great ones were afraid of disaster and to come out at the sound of my voice. My father is in the Tuat, my mother is in Aqert, and my elder brother is in the sarcophagus. Think of the enemy and of how prolonged was the wrath of his heart against me, [when] I, the great lady, was in his house. "I cried then, [saying,] 'Who among the people will indeed let their hearts come round to me?' I cried then to those who dwelt in the papyrus swamps (or, Ateh), and they inclined to me straightway. And the people came forth to me from their houses, and they thronged about me at [the sound of] my voice, and they loudly bewailed with me the greatness of my affliction. There was no man there who set restraint (?) on his mouth, every person among them lamented with great lamentation. There was none there who knew how to make [my child] to live. "And there came forth unto me a woman who was [well] known in her city, a lady who was mistress of her [own] estate. She came forth to me. Her mouth possessed life, and her heart was filled with the matter which was therein, [and she said,] Fear not, fear not, O son Horus! Be not cast down, be not cast down, O mother of the god. The child of the Olive-tree is by the mountain of his brother, the bush is hidden, and no enemy shall enter therein. The word of power of Tem, the Father of the gods, who is in heaven, maketh to live. Set shall not enter into this region, he shall not go round about it. The marsh of Horus of the Olive-tree is by the mountain of his brother; those who are in his following shall not at any time . . . . . . it. This shall happen to him: Horus shall live for his mother, and shall salute (?) [her] with his mouth. A scorpion hath smitten (i.e., stung) him, and the reptile Aun-ab hath wounded him." "Horus is bitten, O Ra. Thy son is bitten, [O Osiris]. Horus is bitten, the flesh and blood of the Heir, the Lord of the diadems (?) of the kingdoms of Shu. Horus is bitten, the Boy of the marsh city of Ateh, the Child in the House of the Prince. The beautiful Child of gold is bitten, the Babe hath suffered pain and is not. Horus is bitten, he the son of Un-Nefer, who was born of Auh-mu (?). Horus is bitten, he in whom there was nothing abominable, the son, the youth among the gods. Horus is bitten, he for whose wants I prepared in abundance, for I saw that he would make answer for his father. Horus is bitten, he for whom [I] had care [when he was] in the hidden woman [and for whom I was afraid when he was] in the womb of his mother. Horus is bitten, he whom I guarded to look upon. I have wished for the life of his heart. Calamity hath befallen the child on the water, and the child hath perished." "Behold, behold, what hath happened to Horus, son of Isis, and who [hath done it]? Pray then to heaven, and let the mariners of Ra cease their labours for a space, for the Boat of Ra cannot travel onwards [whilst] son Horus [lieth dead] on his place." "What [aileth thee], what [aileth thee], O Isis, thou goddess who hast magical spells, whose mouth hath understanding? Assuredly no evil thing hath befallen [thy] son Horus, [for] the Boat of Ra hath him under its protection. I have come this day in the Divine Boat of the Disk from the place where it was yesterday,--now darkness came and the light was destroyed--in order to heal Horus for his mother Isis and every person who is under the knife likewise." "O Thoth, great things [are in] thy heart, [but] delay belongeth to thy plan. Hast thou come equipped with thy spells and incantations, and having the great formula of maa-kheru, and one [spell] after the other, the numbers whereof are not known? 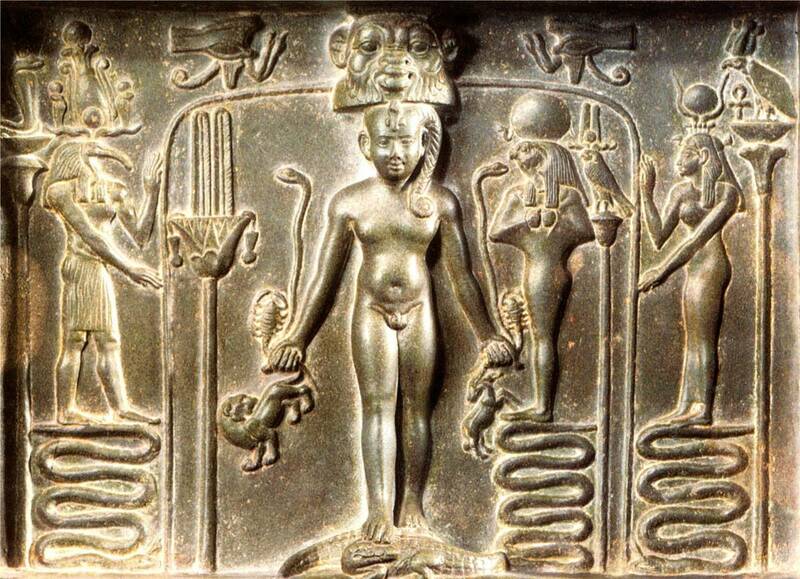 Verily Horus is in the cradle(?) of the poison. Evil, evil is his case, death, [and] misery to the fullest [extent]. The cry of his mouth is towards his mother(?). I cannot [bear] to see these things in his train. My heart [hath not] rested because of them since the beginning(?) [when] I made haste to make answer [for] Horus-Ra (? ), placing [myself] on the earth, [and] since the day [when] I was taken possession of by him. I desired Neheb-ka . . . . . . ."
"Fear not, fear not, O goddess Isis, fear not, fear not, O Nephthys, and let not anxiety [be to you]. I have come from heaven having life to heal(?) the child for his mother, Horus is . . . Let thy heart be firm; he shall not sink under the flame. Horus is protected as the Dweller in his Disk, who lighteth up the Two Lands by the splendour of his two Eyes; and he who is under the knife is likewise protected. Horus is protected as the First-born son in heaven, who is ordained to be the guide of the things which exist and of the things which are not yet created; and he who under the knife is protected likewise. Horus is protected as that great Dwarf (nemu) who goeth round about the Two Lands in the darkness; and he who is under the knife is protected likewise. Horus is protected as the Lord (?) in the night, who revolveth at the head of the Land of the Sunset (Manu); and he who is under the knife is protected likewise. Horus is protected as the Mighty Ram who is hidden, and who goeth round about in front of his Eyes; and he who is under the knife is protected likewise. Horus is protected as the Great Hawk which flieth through heaven, earth, and the Other World (Tuat); and he who is under the knife is protected likewise. Horus is protected as the Holy Beetle, the mighty (?) wings of which are at the head of the sky; and he who is under the knife is protected likewise. Horus is protected as the Hidden Body, and as he whose mummy is in his sarcophagus; and he who is under the knife is protected likewise. Horus is protected [as the Dweller] in the Other World [and in the] Two Lands, who goeth round about 'Those who are over Hidden Things'; and he who is under the knife is protected likewise. Horus is protected as the Divine Bennu who alighteth in front of his two Eyes; and he who is under the knife is protected likewise. Horus is protected in his own body, and the spells which his mother Isis hath woven protect him. Horus is protected by the names of his father [Osiris] in his forms in the nomes; and he who is under the knife is protected likewise. Horus is protected by the weeping of his mother, and by the cries of grief of his brethren; and he who is under the knife is protected likewise. Horus is protected by his own name and heart, and the gods go round about him to make his funeral bed; and he who is under the knife is protected likewise." "Wake up, Horus! Thy protection is established. Make thou happy the heart of thy mother Isis. The words of Horus shall bind up hearts, he shall cause to be at peace him who is in affliction. Let your hearts be happy, O ye who dwell in the heavens (Nut). Horus, he who hath avenged (or, protected) his father shall cause the poison to retreat. Verily that which is in the mouth of Ra shall go round about (i.e., circulate), and the tongue of the Great God shall repulse [opposition]. The Boat [of Ra] standeth still, and travelleth not onwards. The Disk is in the [same] place where it was yesterday to heal Horus for his mother Isis, and to heal him that is under the knife of his mother likewise. Come to the earth, draw nigh, O Boat of Ra, make the boat to travel, O mariners of heaven, transport provisions (?) of . . . . . . Sekhem to heal Horus for his mother Isis, and to heal him that is under the knife of his mother likewise. Hasten away, O pain which is in the region round about, and let it (i.e., the Boat) descend upon the place where it was yesterday to heal Horus for his mother Isis, and to heal him that is under the knife of his mother likewise. Get thee round and round, O bald (?) fiend, without horns at the seasons (? ), not seeing the forms through the shadow of the two Eyes, to heal Horus for his mother Isis, and to heal him that is under the knife likewise. Be filled, O two halves of heaven, be empty, O papyrus roll, return, O life, into the living to heal Horus for his it mother Isis, and to heal him that is under the knife likewise. Come thou to earth, O poison. Let hearts be glad, and let radiance (or, light) go round about. condition for you, [for] Horus liveth for his mother, and he who is under the knife likewise."